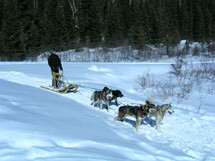 Algonquin Park does not offer guided dog sledding opportunities. 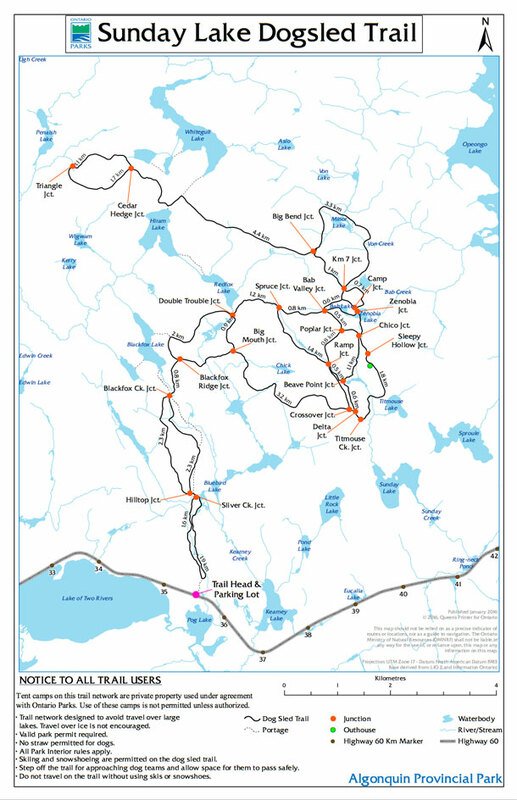 This service is provided by commercial operators located outside Algonquin Park, who use Algonquin Park's trail systems. 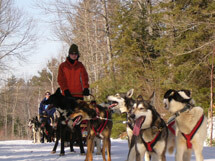 The Sunday Lake Dog Sled Trail is Algonquin Park's most popular dog sledding trail offering kilometres of mushing through mixed and hardwood forest habitats. This packed route offers spectacular scenery and avoids ice travel. On Highway 60, access is from the Trailer Sanitary Station Parking Lot at km 35.6.